My daughter Rachel is like me in that she is logical, skeptical, and practical. My daughter Ellie, like her mother, tends to be more adventurous, spontaneous, and unpredictable. 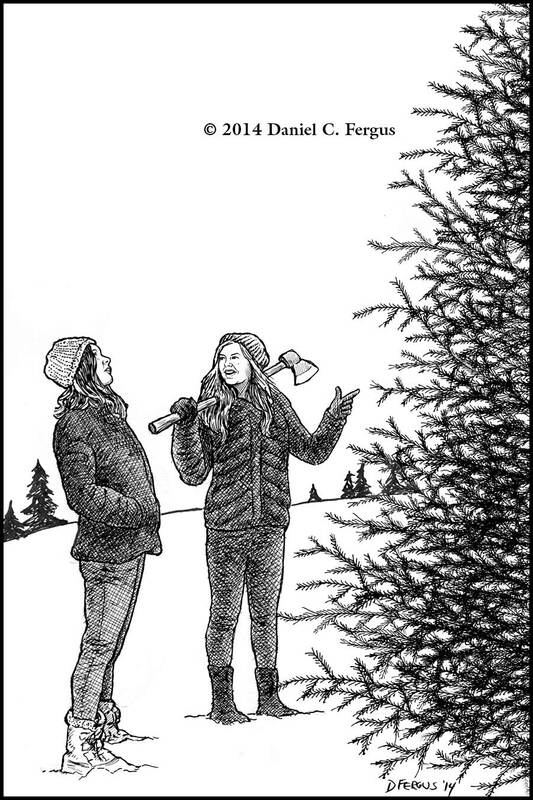 I thought this illustration for our 2014 Christmas card summed up their personalities rather succinctly. It's worth noting that we didn't actually cut down a live tree that year; from 1997–2016 we used an artificial tree (less hassle). But in 2017 my daughters requested that we get a real tree again, so we did. But we didn't cut it down ourselves; we just went to a lot.